It’s a strange thing. It seems my brain is taking a vacation. Really. I am in Florida, sitting on my balcony looking out over a beautiful white sand beach at the Gulf of Mexico. The water is as smooth as glass. But I don’t know where my brain is. I expected in this perfect, peaceful, uninterrupted space to be filled with an abundance of profound insightful thoughts which I would put on paper and share making the world a better place. But, alas, my brain has deserted me. So I’m pretty sure you will probably not find anything particularly brilliant and profound or insightful in the following words. (As if. I’m still waiting for that to happen). I am resting. I am here with my sister and we are pretty much living each day without a schedule. We have done some fun things. We took a two hour jet ski tour of Shell Island where we found sand dollars and held a star fish. We also held a jelly fish! Gasp! There are actually jelly fish that don’t have tentacles so they don’t sting. I played 18 holes of golf on an uncrowded course. We have listened to good music and enjoyed good food. We have spent hours on the beach. (Another opportunity for deep thinking which did not happen). Perhaps this week is yet another example where my plan, though a good one, was not God’s plan. I’ve been thinking too much, if that’s possible. I’ve made a life changing decision. I had made an emotional decision to buy or rent a house. But after weighing all the facts and listening to the advice of my sons, I made a logical decision. It makes more sense to stay where I am. I am so blessed to have children who offer to make their home my home also. They truly want me to live with them. Though the decision was logical it was not easy. It is much easier to avoid change and to choose to stay in the “normal” where it is comfortable. But change encourages growth. There you have it—just a bunch of random thoughts because that is all I’ve got right now until my brain returns. For now I accept that God has given me exactly what I need this week. He has given me a time to relax my body, mind, and soul, resting in Him. He has given me time to enjoy the beauty of His creation with my wonderful sister. I am grateful. It doesn’t take a genius to know that in the absence of profound thoughts is the simple truth that God is here with me and that is all I need to know. P.S. I hope my brain, wherever it is, is getting renewed as much as I am. 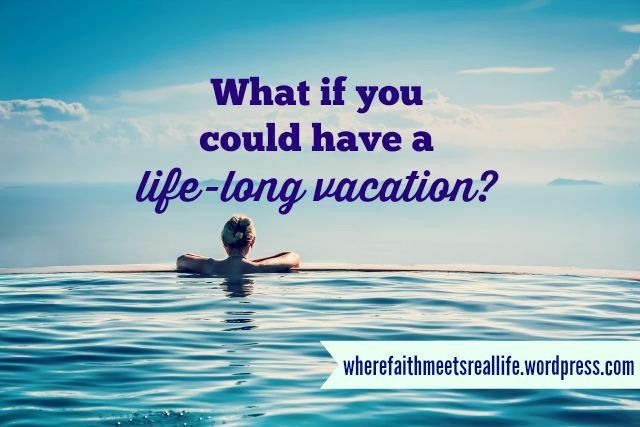 What if you could have a life-long VACATION? I’m beginning to feel the excitement that comes when something I am looking forward to isn’t so far in the future. As the day draws nearer, (15 days, but who’s counting? ), the dream of my vacation will become a reality. I can hardly wait. But it’s “deja vus all over again” as Yogi would say. Last year I thought I was going to Reddington Beach, Florida with friends. I ended up going alone. This year I am going to Panama City Beach, Florida with a friend, I think. But I could be going alone. This year for sure, positively, without a doubt, I will have a balcony. (I know this because I double-checked–every room has a balcony). So for the next two weeks I have the opportunity to adjust my attitude, to prepare my mind and my heart to be open to the work of the Holy Spirit as He prepares my for the long anticipated week of rest on the beach. Hopefully, I learned something from last year’s experience. From the day I left home on Friday to travel to Florida I was not happy. My plans weren’t working out the way I had wanted. By Sunday, I had begun to surrender my will to God’s will and by Friday, I was keenly aware of the blessings God had poured out on me throughout the week and His never-ending intimate presence. This year, I want to begin my journey aware of His presence, expecting to see His grace and mercy every moment as He draws me closer. I want to focus my heart and mind on Him and not on myself. I want to hear His voice, obey, and be changed. Isn’t this the attitude I should have every day of my life and not just when I am on vacation? Of course it is! So why isn’t it? When I am at the beach, or any place away from home, I am away from the distractions that are an integral part of everyday life. Some of these distractions are responsibilities that scream for my attention. Some are expectations that others place on me or I place on myself. Other distractions are my needs, both real and perceived. Relationships can be a distraction. There are many things common to man that vie for priority in our heart, mind, and soul. But that place of prominence belongs to only One, and it was bought at a high price. While it may be a little easier to keep my eyes on God when I am away from home and its distraction, I am not excused from having that same attitude when I am in the daily grind of life. And just because I am not on a beach somewhere, but living life where God has put me, I don’t have to let distractions take my eyes off of my Savior. I can begin each day in a quiet place. For me, I shut the door of life when I sit in my “blue chair” and read His Word. We meet and I know I am in His presence. It is a precious time. Unfortunately, many days when I open up the door of life again and begin my day, I allow those pesky, persistent, distractions to drift in and take control, forgetting Who is really in control. What if I lived every day as if I were on vacation? The word “vacation” stems from the latin word “vacatio”, which means freedom from something. What if I could be free from the stress and worries that invade my mind causing me to think from an earthly perspective instead of a heavenly one robbing me of joy and peace? Praise God, I can! I can do all things through Christ who gives me strength. I can choose who sits on the throne of my heart. I can choose to rest in Him. I’m on vacation. Right here. Right now as I am at work in Katy, Texas. This can be a life-long vacation where ever I am. I am always in His presence. He will never leave me. He will give me rest and peace when I remain in Him. I’m still looking forward to my trip to Florida. I can’t wait to find out what God has planned for me on the balcony. Colossians 3:2 Set your minds on things above, and not on earthly things. Philippians 4:8,13 Finally, brothers, whatever is true, whatever is noble, whatever is right, whatever is pure, whatever is lovely, whatever is admirable–if anything is excellent or praiseworthy–think about such things. I can do everything through him who gives me strength. Matthew 22:37,38 Jesus replied: “Love the Lord your God with all your heart and with all your soul and with all your mind. This is the first and greatest commandment. Do you live a carefree life in Christ? You know what I miss? I miss the care-free feeling that I felt as a kid when summer ushered in three months of fun and a much more relaxed time schedule. Oh, I still had responsibilities, I called them chores, but they were accomplished fairly quickly, which left me free to play all day until it was time to go back inside for dinner. The beginning of summer meant the end of another school year. For me, school was about learning. I never had a study hall or easy class in my schedule. The easiest class I had was P.E. So for nine months I studied, did homework (at home), and tried to learn all I was expected to. Summer was a welcome break from serious study. Back then, time passed at a comfortable pace, not too fast and not too slow. How different it is today. This summer has flown by. Unlike the summers of my youth, there is not a “break” from lessons. Of course there were always “life lessons”, but somehow they were intermingled with and obscured by the care-free activities of the day. Does life as a “seasoned” adult have to be so serious? Or more to the point, does the life of a disciple of Christ have to be so serious or solemn all the time? A disciple is a learner. I am learning to live a holy life, a life that reflects the truth of God’s Word, His principles, His promises, His character, and His commandments. Life as a follower of God can be hard. In fact it will be difficult and painful at times. But I’m pretty sure I am offered the experience of “summer bliss” in my walk as a disciple of Christ. This care-free joy comes only when I stop trying so hard to be perfect and stop over-thinking everything. There is a fine line between taking responsibility for my words and actions, and taking control of the cause and effect of God’s plan for me. The former requires trust and surrender to the One Who is all-knowing, all- powerful, good and loving. The latter is driven by fear, pride, and a lack of trust. I make life seem like too much work when I try to take control of it. It has been too long since I have ceased striving and the result has been failure to enjoy life to the fullest. It’s time to live care-free. I don’t mean irresponsibly but dependently. All I have to do is surrender everything to Jesus and trust Him Who is good and loving toward is children. My soul can then enjoy the freedom that is already mine in Christ. The “summer bliss” isn’t reserved for the young only. On the contrary, it is for the young at heart, those of us who are learning to trust and depend with a child-like faith. It is not only enjoyed for a few weeks in the summer, but available every day of my life. Striving is not the answer. Trusting and abiding in Him, praising Him with a grateful heart, and delighting myself in Him are all I need to do. Soooo, if you see me walking around with a goofy grin on my face, or even laughing out loud, don’t worry, it’s just a sign that I am living a care-free day. I feel like I owe you a report of some kind detailing my exemplary walk of faith since you are kind of my accountability group and all, just sayin. I would love to tell you that I have “aced” every test and I am now the “model” Christian that all should aspire to be. I wish. Not even close! I feel so like Paul must have felt when he penned Romans 7:14-24; my enemy the devil does prowl around like a roaring lion looking for someone to devour (1Peter 5:8). I am pretty easy prey at times. He knows my weaknesses and just when I think I’ve learned the lessons of Trust, Surrender, and Contentment, the flaming arrows start to fly. I would like to report to you that I was winning these battles this week. But, no, I let my negative thoughts take control causing me to imagine the worst and experience the emotions that accompanied it, feelings of loss and loneliness. But, God is still God and He loves me and holds me close. He still protects me and whispers words of help and encouragement in my heart. He whispers words like, wait on me, be grateful, humble yourself in service to someone else, lean on me and not on your own understanding. I have been practicing the art of “waiting with expectation” for the blessings God has for me each day. 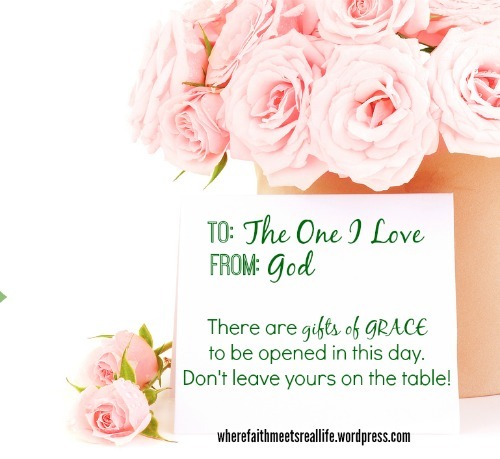 By anticipating His grace gifts, I have actually noticed several that I would have missed had I not been engaged in life from God’s prospective. This week God graced me with the opportunity to serve a friend who is in serious distress. My first reaction was, “I can’t. I don’t know how. I am way out of my league here.” I wanted to say no. But I heard the Spirit say, “this is not about you, think of her, love her”. So I went. I had everything I needed. I was equipped with God’s love for her. I had ears to listen and arms to hold her. I had tears to shed with her. I didn’t solve her problem, but God strengthened her through me. We were both blessed. This week I was blessed when I was contacted by two friends, both of whom I haven’t seen in over two years. I will have dinner with each of them in the next couple of weeks. Through them I am reminded how priceless it is to have friendships that stand the test of time and I am very grateful. This my friends is real life. It is not perfect. I am not perfect. 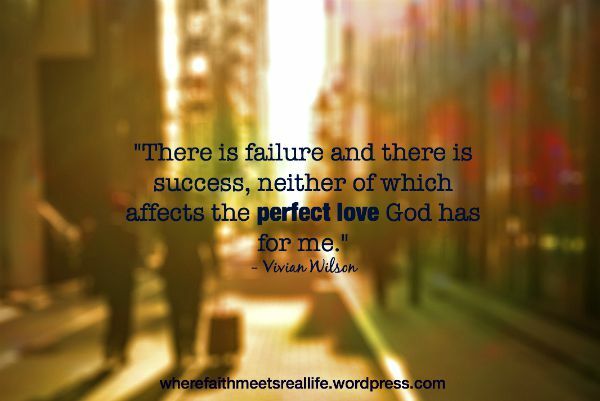 There is failure and there is success, neither of which affects the perfect love God has for me. No matter what trials I face, no matter how big they seem, scripture calls them light and momentary in light of the eternal glory of heaven which is my home. I am committed to walk with God, trusting Him to change me and to use me when and how He will. I will fail at times, but I know that I am forgiven. When I acknowledge my sin before Him I am forgiven and nothing stands in the way of the intimate relationship we share. Thanks be to God! Who is not finished with me yet. I spent last week with a wonderful, amazing group of servants. I was privileged to be a part of the UM ARMY mission in Lufkin, Tx. My role on this trip was, along with seven very special brothers and sisters, to feed this camp of about one hundred and forty people. What a blessing to see their smiling faces every morning and evening as they made their way through the serving line. Yet there was another face. I can’t get it out of my mind. The first time I saw his face was after breakfast on Monday morning. He came every morning for the rest of the week. His face did not smile, it was weathered and reflected a hard life. His eyes were downcast and lacked the brightness that hope produces. It was a face that modeled “the least of these”. He was quiet, reserved, unwilling to reveal too much of himself. This face has a name. But I am ashamed to say that I didn’t even ask him what his name was until Wednesday. Larry has a story. Everyone has a story. I don’t know his. I know that Larry has a large scar on his right calf. I know that he is from Indiana, has no family, and has been in Lufkin for “about seven years.” I know that he lives in the woods less than a mile from the church with others who have no home. And I know that Larry almost died last February. Every Saturday morning with out fail, the Journey Class comes to the church kitchen to prepare meals for delivery to 250 seniors. These wonderful brothers and sisters have also become accustomed to preparing enough for Larry and about 20 of his fellow homeless friends. So when I asked a member of the Journey Class if a homeless man often came to the church, she asked, “Larry?” I said, “Yes, do you know his story?” She knew only that last February he was found just in time to save his life. He had been severely beaten and was in ICU for several days. Larry never asked for money. He asked for food and only after we asked if there was anything else he needed, he asked for clothes. I’d say these are the bare necessities. Larry was grateful for what he received and voiced his thanks by adding, “God bless you,” with every meal. I also know that Larry shared the food we gave him with his friends. I don’t know what Larry’s spiritual condition is, but I know mine. I am saved, adopted into God’s family by the blood of Jesus. My prized possession is the very presence of God in me. By grace, through faith, he gave himself to me. Yet there are too many times when I live like a pauper, forgetting the hope I have, my eternal home in heaven. I look for joy and peace and happiness in all the wrong places, people and things. I am no better or worse than Larry. Larry is a person, formed in the image of God, and loved by Him every bit as much as I am. Larry’s face revealed a deep inner sadness, loneliness, a life that is hopeless, and his only purpose is to find the basic essentials for survival. It would seem that he lacks the SOURCE of life, but I can’t know this. I think maybe there have been times in my life as I have walked with the Lord that someone can say, “It would seem that Vivian lacks the source of life.” It would be in times when I’m not content, unsatisfied, and looking for something to fill the place that only God can fill. It is in those times that I reject the all-sufficient grace, presence, and provision of God that I find myself lonely and wanting. But hear the good news! This is when God lifts me up. His faithful loving presence rescues me and draws me close. He fills me with His Spirit, then joy and peace overflow. 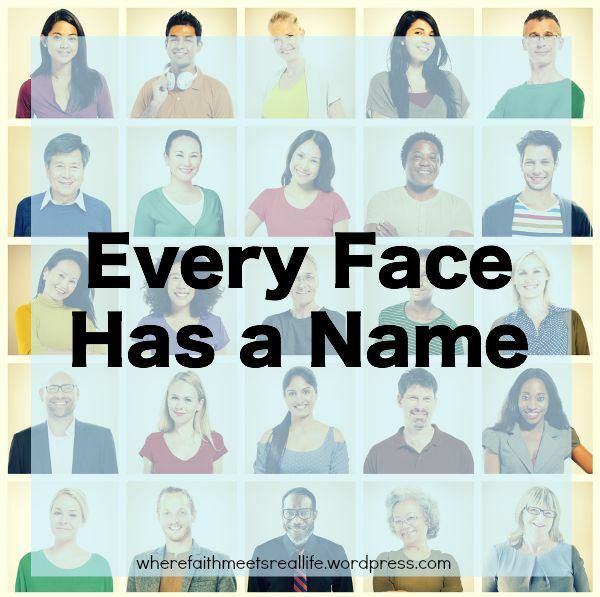 My face reveals the presence and the promise of hope that are mine in Christ. I will pray for Larry. I pray that he would come to know the Savior Who will lift him up, no matter where he lives. And I will pray for myself, that God will remind me of Larry when I am ungrateful and discontent. This attitude robs me of hope and joy. It restricts my ability to recognize opportunities of blessing and prohibits me from enjoying the abundant life that is mine in Christ. The result is that I live a life, not as a child of God, but as if I was a resident of this lost and broken world who is powerless to gain any real lasting joy or peace. But the truth is that I am no longer of this world, but I am an alien. My hope is grounded and secure in Jesus’ finished work on the cross. A child of God should never settle for a monotonous life. I believe that attitude is everything. 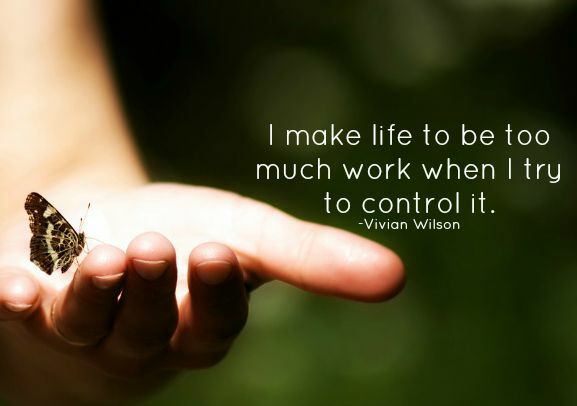 It is one of the very few things that I can control. 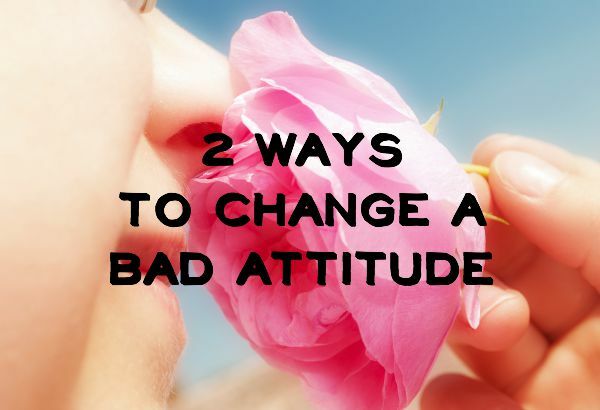 I can choose to have a different attitude. It sounds simple enough to do, but I have to be intentional. (1) Remember the promises of God’s Word. There are two verses that give me comfort now. Psalm 27:13 I am still confident of this: I will see the goodness of the Lord in the land of the living. Today does not have to be like yesterday and tomorrow brings new mercies. It is a new day in which I can look forward, anticipating opportunities to see God’s grace displayed in my life as He unfolds His plans for me. (2) Be grateful. 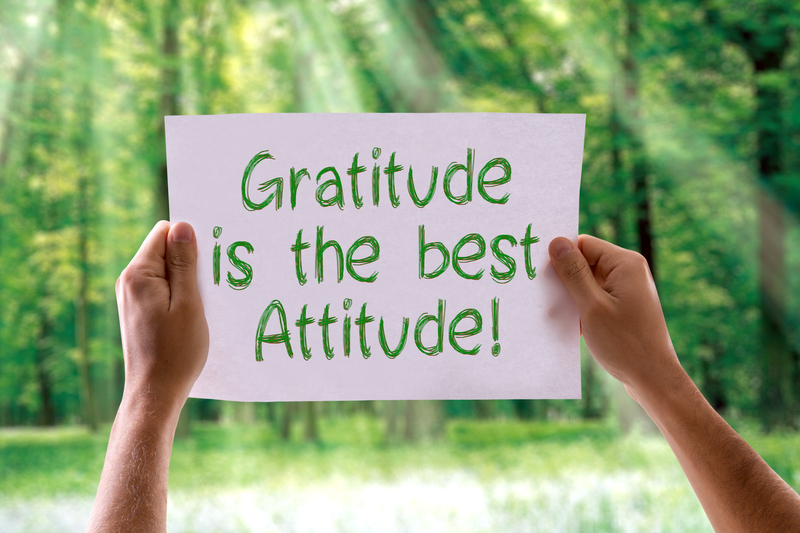 Gratitude should naturally flow from a heart that recognizes God’s blessings and gifts. As for my self-center focus, the anecdote is service, the act of giving myself for the benefit of someone else. When I consider another’s needs before my own I am blessed as well as the other person and God is pleased. I tried to blame the weather and unfinished business for my attitude of discontent. Clearly these are not the reasons I have gone through the motions hopelessly living each day, tending to my responsibilities, satisfied to reject the hope, joy, and peace that is mine in Christ. The reason for my empty days is that I have been focused on myself, bemoaning the fact that perceived needs and desires aren’t being met. Life just isn’t happening like I want it to on my time schedule. It is time to remember the lessons of trust and surrender that God has been teaching me. He is trustworthy. I am in the best place possible when I surrender my life and my will to Him. I appreciate you for allowing me to honestly share my failures and my weaknesses with you. (And you still read these)! By writing, I have a clearer vision of God’s work in me. The deepest desire of my heart is to love God more by walking in the Spirit rather than the flesh more and more consistently.